The biggest Nepali WordPress conference of the year, WordCamp Kathmandu 2019 is happening tomorrow. The event is going to be held at Bougainvilla Events in Tripureshwor, Kathmandu. And, we, the Catch Themes team will be there as well. Our parent company, Catch Internet, will be supporting WordCamp Kathmandu 2019 as a Silver Sponsor this year. We’ve been a part of WordCamps held in Nepal since their inception in 2012. And we are very proud that our community has been only growing ever since. Similar to the previous WordCamp in Kathmandu, WordCamp Kathmandu 2019 is also going to be a two-day event—16th March being the official WordCamp Day and 17th being the Contributor Day. The two-day conference will feature talks, workshops, and presentations from many WordPress enthusiasts and professionals and we anticipate a great audience for the event. This time, one of the most interesting workshops is integrating react with WordPress and its API. Apart from that, WCKTM2019 will also feature talks on the Gutenberg blocks. So, we’re very thrilled to see what this year’s WordCamp has in store for all of us. Since we are one of the sponsors, we’re going to have a stall this year as well with many exciting swags. We will be bringing back our “Spin & Win” wheel; spin it and grab interesting swags. 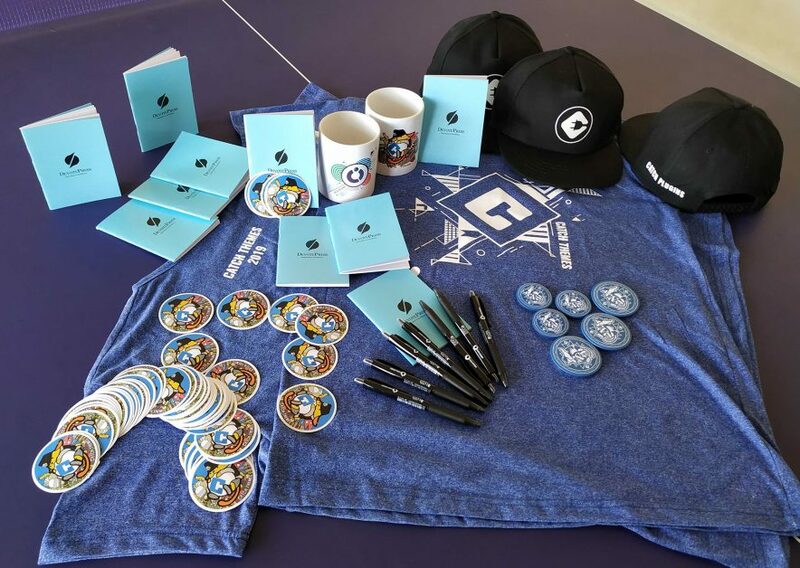 Many exciting Catch Internet, Catch Themes, Catch Plugins, DevotePress, and NepalBuzz swags will be available for grabs. So, don’t forget to drop by and say hello to our team. Our Catch Themes team is very excited to attend WordCamp Kathmandu 2019. Are you coming to this grand WordPress extravaganza? See you there! Is Catch Themes is an Organisation of India? Sorry, Catch Themes is not Indian Organization but it’s Nepali Organization.